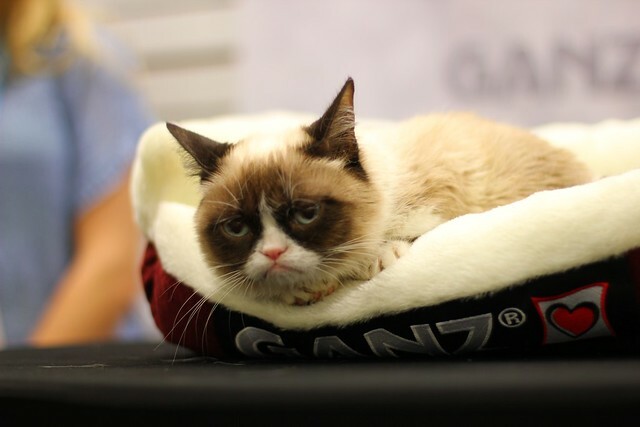 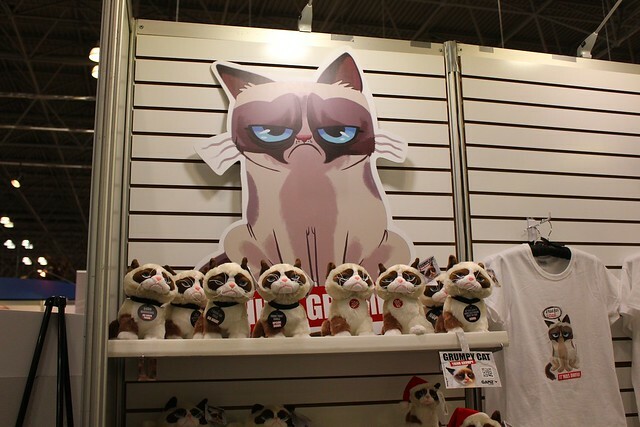 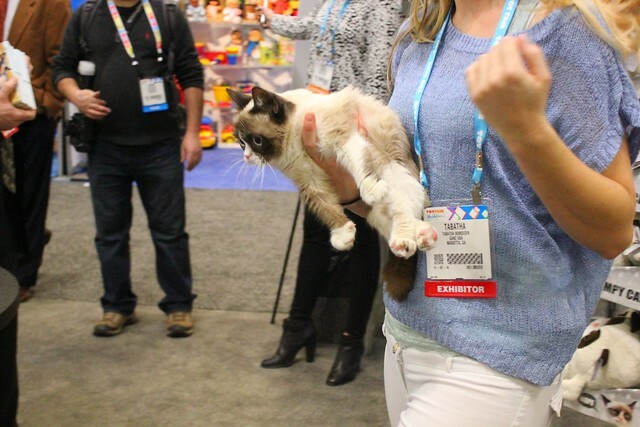 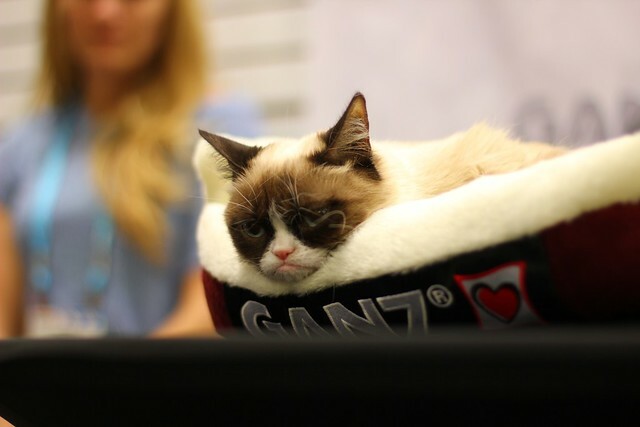 Following her recent Disneyland appearance, Internet favorite Grumpy Cat made a special appearance at Toy Fair 2014 promoting a new product line from Ganz featuring her famous face. 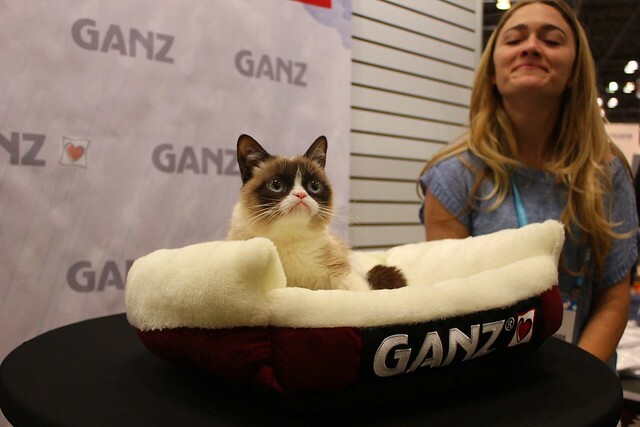 A huge crowd gathered outside the Ganz booth eagerly awaiting a 2-hour appearance from Grumpy Cat, whose real name is Tardar Sauce, brought out owner Tabatha Bundesen. 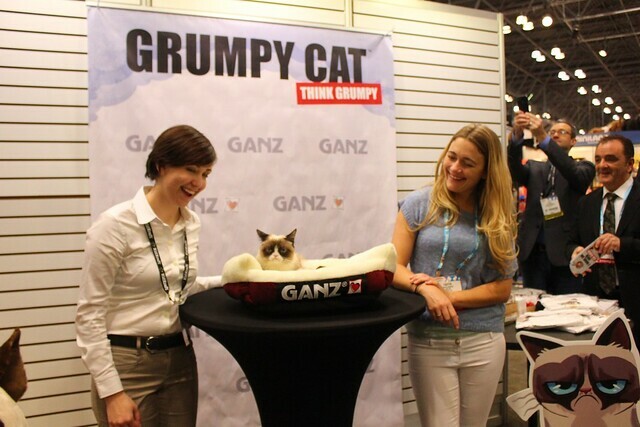 Attendees to the industry-only event posed with smiles and frowns alongside the feline, who seemed altogether uninterested in the commotion surrounding her. 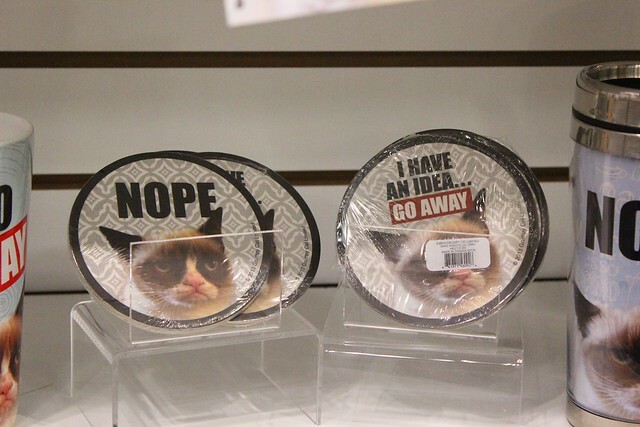 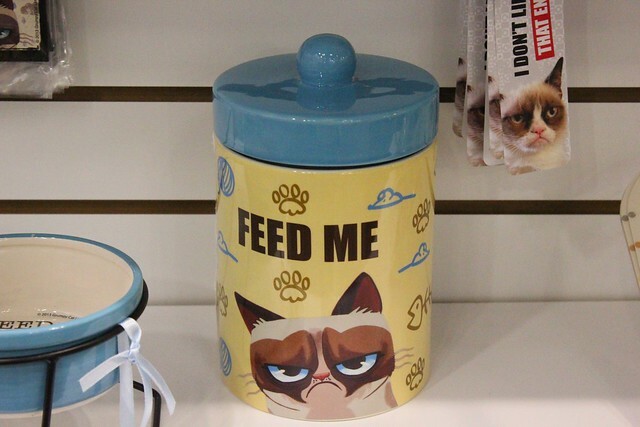 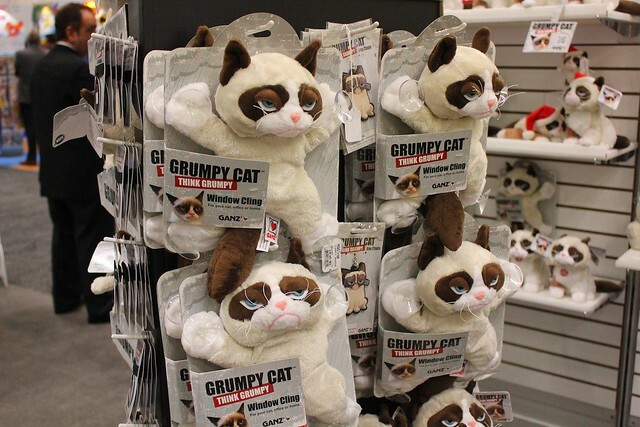 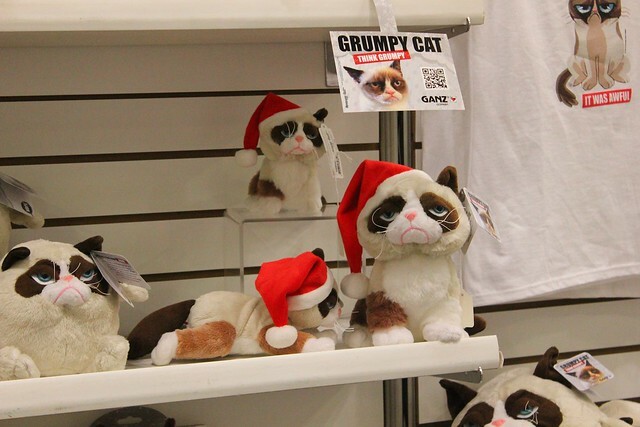 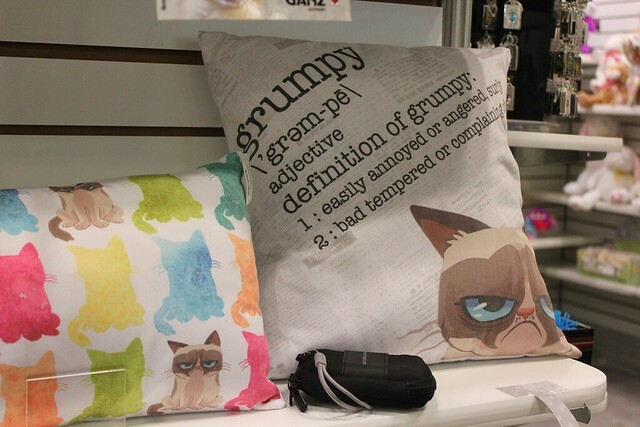 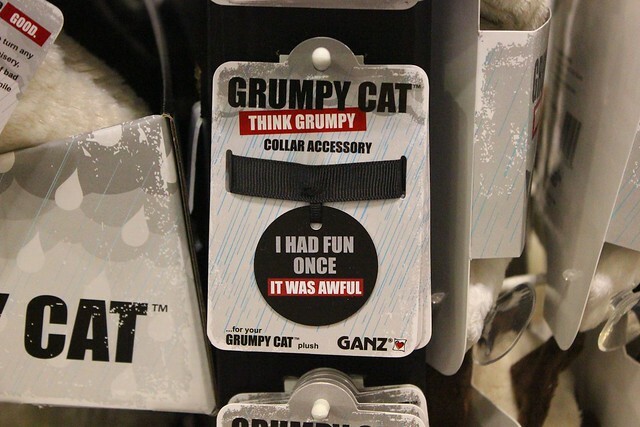 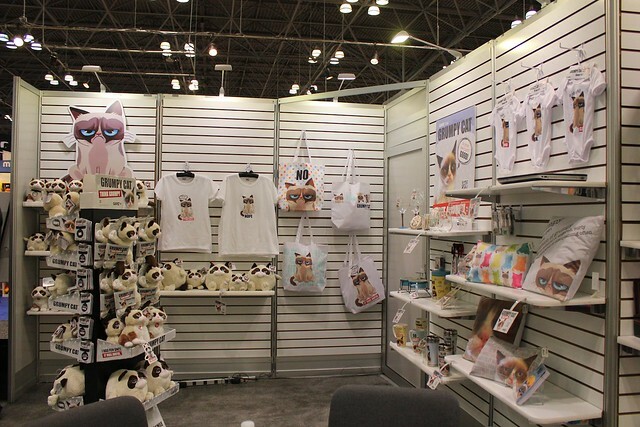 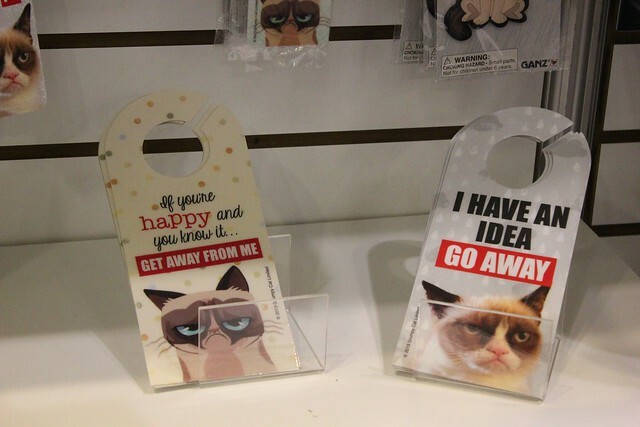 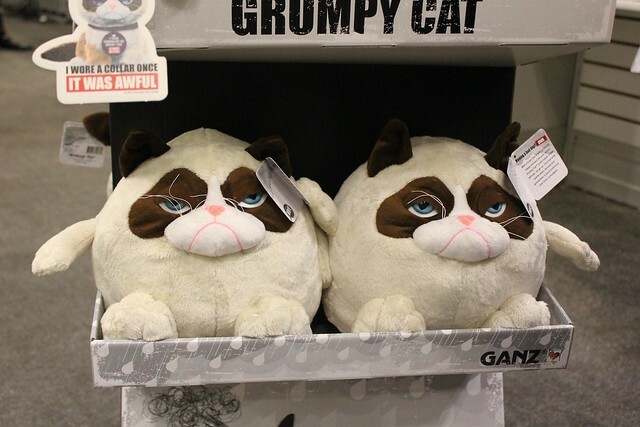 The new line of products inspired by Grumpy Cat include T-shirts, coasters, pet food bowls, stationary, glassware, and plenty of plushes in all sizes and shapes, even including window clings and Christmas versions, all to be released throughout this year. 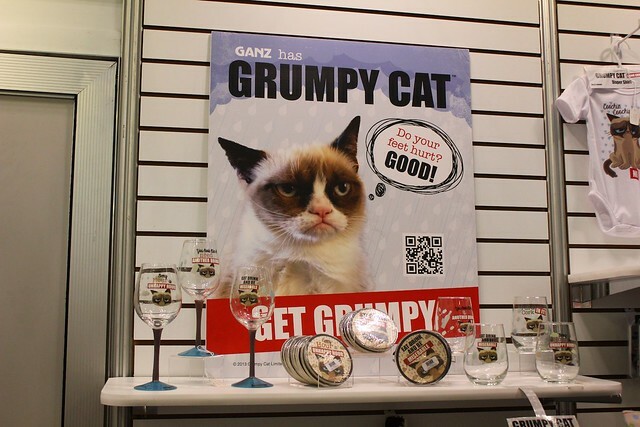 at the show I was at in vegas- people were tring to steal this stuff more than the jewelry!! 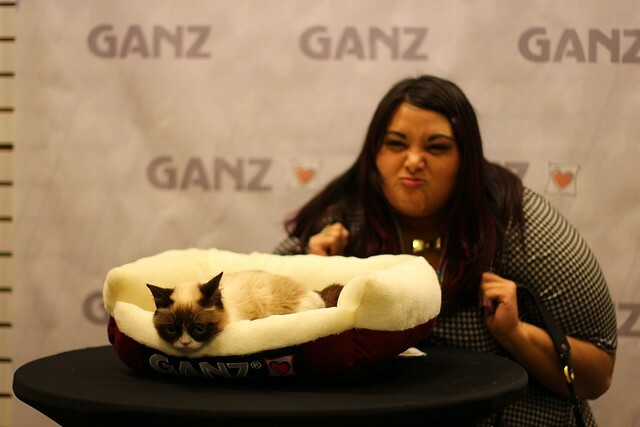 LOL it was crazy. 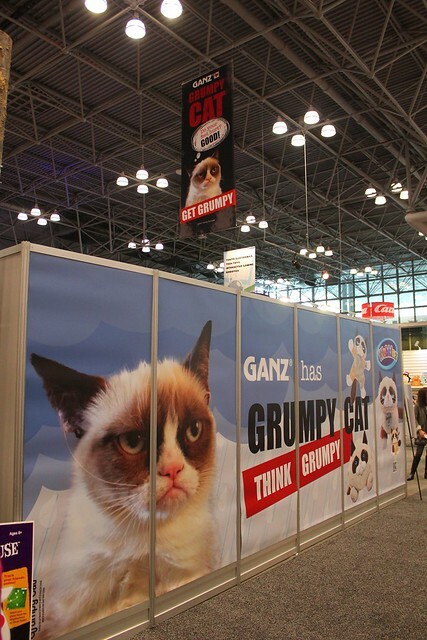 WOnder how much they lost at this show as the display was much larger. 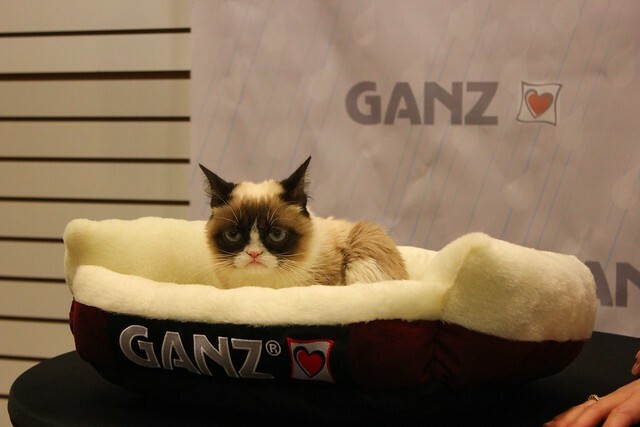 a grumpy cat webkinz!?!? 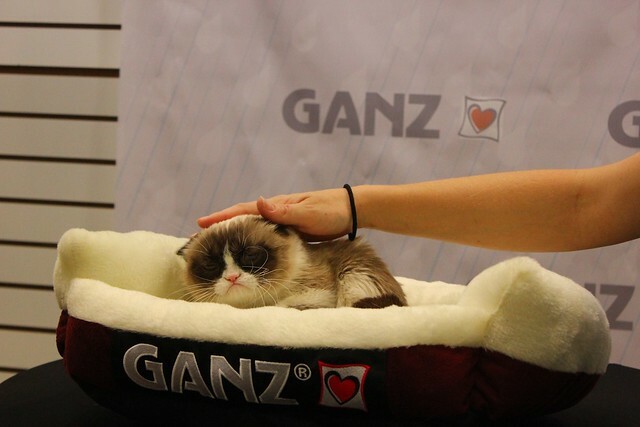 is ganz crazy what’s next nyan cat?